Parents are the most precious gift God has given us!! Submit a photo of you with your parents at the comment box below (with a caption in not more than 20 words) and stand a chance to win the great prize!! 1. 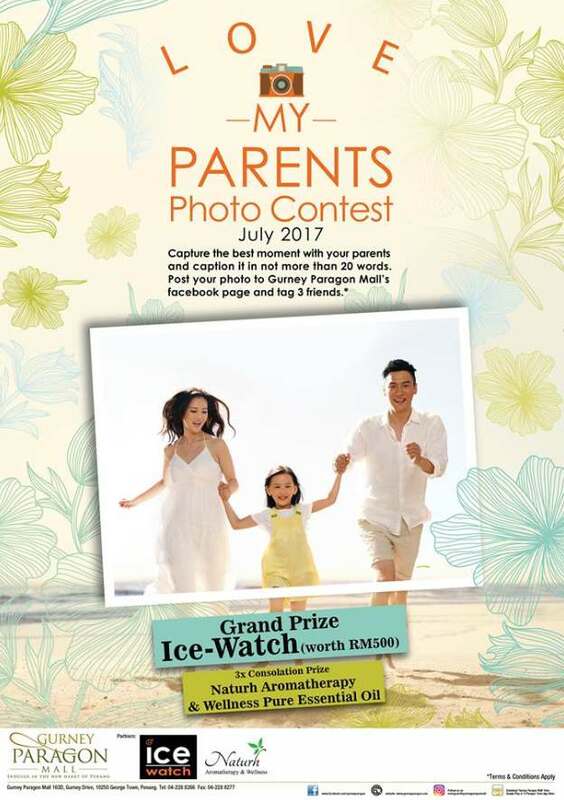 The contest is open to all Gurney Paragon Mall Facebook fans. 2. To qualify for the entry, post your photo below, LIKE and tag at least 3 friends. 3. The contest is valid from 1 – 31 July 2017. 4. Photos containing explicit content will be removed. 5. Each contestant can submit multiple photos. 6. Winners will be announced and notified on the prize collection on our Facebook. 7. Judges’ decision is final and no correspondence will be entertained. 8. The management reserves the right to alter the terms and conditions of the contest without prior notice. Find out more at Gurney Paragon Mall.